Ingrid recently completed her artwork honoring Catherine the Great. “I am deeply inspired by men and women who have changed the world profoundly. Catherine the Great was one of these women. I wanted to capture her essence in this piece. Deeply rooted inside her soul, she knew her purpose and her destiny. With that inner driven passion, she alone helped give the world one of the greatest gifts to its future, the Hermitage Museum. In this piece Reflection, Catherine is shown in her coronation gown along with her crown. 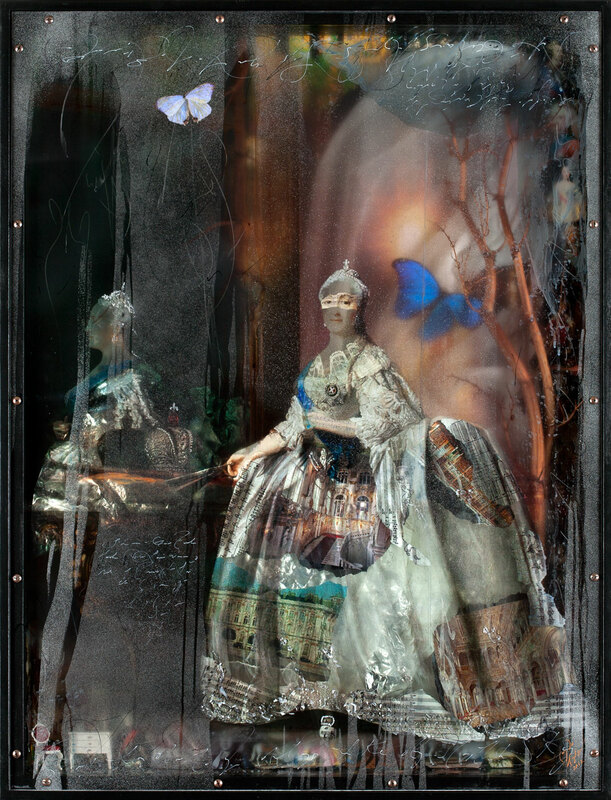 The viewer is able to look into her dress to see a present-day Hermitage – a view towards the future. Surrounding her to the right and underneath are many portraits of her family, her husband, and her lovers who influenced her and formed her life. Like a family tree, I’ve included branches to represent their connection to Catherine. 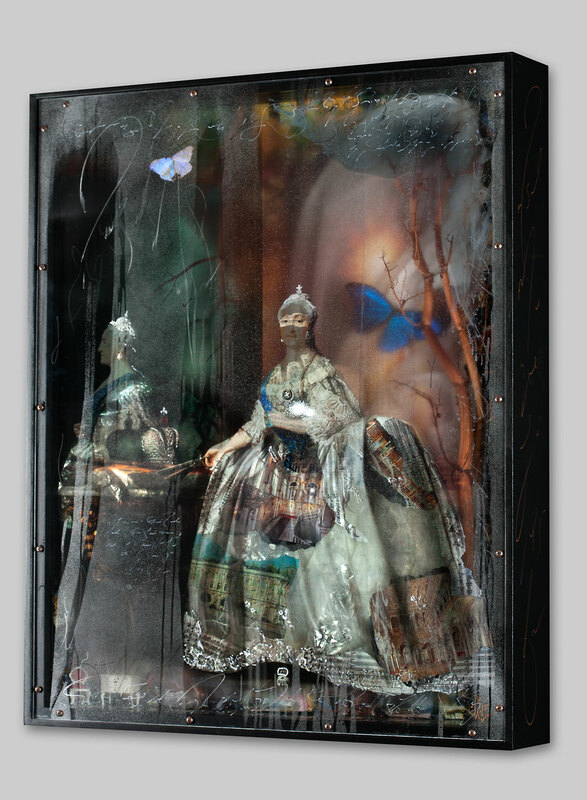 This entry was posted in Aspen, Hermitage Museum Russia, Ingrid Dee Magidson, Transparent Canvas and tagged Hermitage museum, new york, Russia, transparent art. Bookmark the permalink. Wonderful write up on this piece! So exciting to be a part of this again.